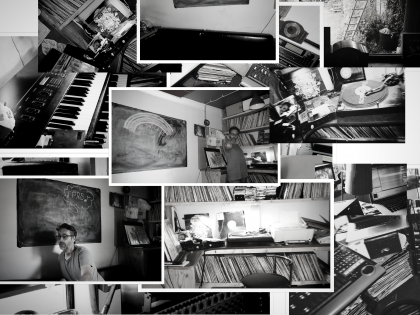 Dan Berridge aka Broadway Project – Page 4 – The home of Dan Berridge aka Broadway Project film composer and recording artist. The full track from the Max Factor Ad “Foundation” is to be released for free on Cecilia Stalin’s BandCamp page for free on the 31st January! Here’s a round up of some of the more wide screen film music I was working on during October last year. Some of these are for an in production American project and hilariously, one is a very rushed pitch for the new Sherlock Holmes movie (unbelievably, I don’t think I got the gig, but Hanz Zimmer was bricking it). The ace Billy Fuller from Beak> was playing bass for me. Hope to work with him a lot in the future. There was another great film called Conviction that I worked on last year, but for various reasons I’m not allowed to post a clip of that yet. Hopefully these will pan out into projects in this new year. In the meantime, I’m working with Universal on a library music project that I’m very excited about. More of that soon. I have written some music for a new Max Factor Ad Campaign. Featuring Cecilia Stalin on vocals and Andy Dragazis on guitars. The ad should be going on air across Europe anytime now. This ad will be followed by another one I’ve written and produced with the same team. Here’s a couple of new tracks from a series of demo’s I’ve put together with Paul Noble for another secret project (this all sounds very covert, doesn’t it, its only so I don’t compromise projects in production). I am working with Paul on more mainstream modern cinematic music, which is something I have been wanting to develop for a while. Myself and Paul worked together on “Identity of the Soul”, which you can see on the Films page. Here’s a track (its a demo really, I might add vocals) of a track I’ve done recently called “Lost”. It’s one of a batch of new tunes that I’m working on in my spare time that I’m really excited about. This spare time is going to be reduced considerably very soon after the birth of my second child, but its on its way, I promise. It’s for a film being shot now. I wrote it based on what I read from the script. Lovingly called it “In the Hole”. Might not end up in the film, but here you are anyway. For old school fans of my earlier albums here’s a rare collaboration with my old vocalist and mate Richard Palmer. I basically rinsed one of his lovely new songs and ended up with this. The vibe went straight back to 2003 but without the samples! It’s a slow burner. kind of Tindersticks meets Ennio Morricone (I wish). More (new) vocal collaborations on the way. Here’s another new ad spot with music composed by Broadway Project for Saudi brand Mobily. It’s all about HRH the Prince-whatsisname. Here’s a version without the Arabic voice over or FX, so you can hear a proper burst of the original track.Full ad is on my Music for Ads page. Here’s another new ad spot with music by Dan Berridge / Broadway Project. I also did the sound design on this one too. Again for German brand Deichmann and directed by Mehdi Norowzain. And a longer version of the original track I composed for the ad. Bit of a light Flying Lotus vibe on this one. With the original tracks that I composed for the ad (featuring a LOT of sounds made on a violin). So, it has been out for a while, but this is a formal announcement. You can buy the soundtrack to Fredrik Edfeldt’s truly lovely film Flickan on iTunes, Spotify, Amazon, etc. It was quite a conceptual one for me as the music was needed to convey a variety of tones and moods on what is a sensitive subject matter (the isolation of a child) without becoming maudlin or over sentimental. 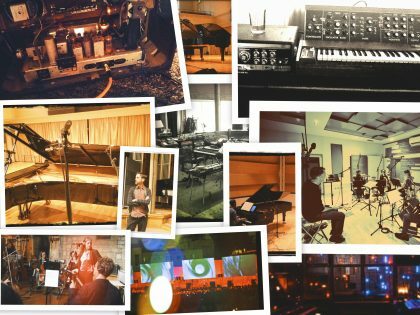 We went with Piano, some very intimate cellos and violins, and lots of vintage analogue synths. “Flickan” received two special mentions at the 2009 Berlin Film Festival. Following a few problems with the last site, this new one is under development. Sorry but the Music Pro-Gratis element bit the dust. It was something I was offering for the One Minute to Save the World competition entries, but I won’t have time to get it up and running again. “Leaving”, a short film (featuring original music by Dan Berridge/Broadway Project), is one of five films nominated for the prestigious award for Best British Short at this year’s BIFA awards. 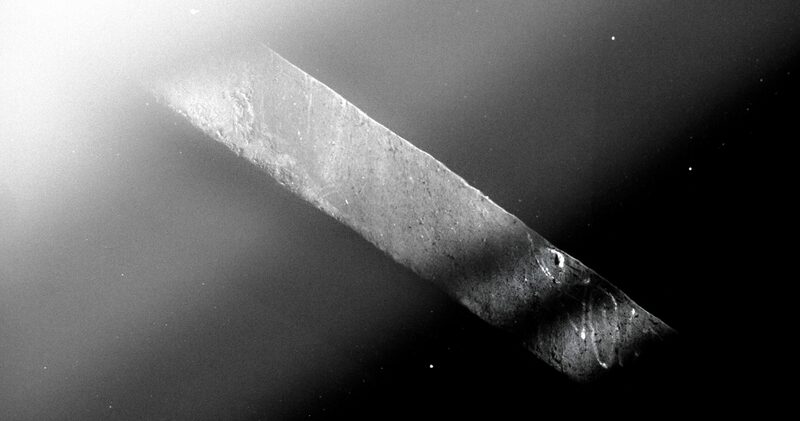 To be eligible for the Short Film category, the film must have already won an award at a festival, making the competition particularly strong. Kierston Wareing, the female lead in Leaving, has also received one of eight nominations for Andrea Arnold’s feature film Fish Tank for Best Supporting Actress. Leaving has already enjoyed success at various festivals and competitions including 1st prize at TCM classic shorts competition in 2008, the Silver Dragon at Crakow Film Festival, Best Film from the South West at Encounters and the Fuji Award for Best Cinematography. More info can be found on the Omni Productions blog. Fresh from sold out full-size (5 cinema screens) screenings in Norway, Qatar, Palestine, Jordan and UAE, the “Studio” version of “Identity of the Soul” takes on its 2nd half of its mini-UK tour. You can catch it in the venues below. It really is a feast for the eyes and ears! And the closest you’ll get to see personal appearance by me. 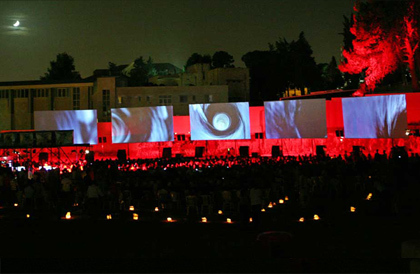 “Identity of the Soul” is a live cinematic performance about revenge, reconciliation and the individual. The score was written by Paul Noble and myself. 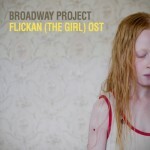 If you are living in Europe (outside the UK) then you should keep an eye out for the Swedish film “Flickan (The Girl)”, which is doing the rounds in selected cinema’s. I’m very proud to have written all the music for this film. The film recieved a special mention at the 2009 Berlin Film Festival and is a beautiful piece of work IMHO. Details of a UK and US release are still to be worked out, but I’ll post as soon as I know (they don’t tell me anything). I will be releasing the soundtrack as per usual on ODS Recordings, which you’ll be able to find on iTunes, Spotify, et’al soon. Again, I’m not sure when.